The new Oakley Radar EV Pitch is a brutally mean piece, hot out of the molds of the Oakley laboratory. Oakley Radar EV Pitch sunglasses are constructed with Oakley's O Matter material for an impact-resistant, lightweight pair of shades. 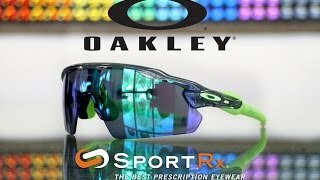 Oakley Radar EV Pitch sunglasses come correct with Unobtainium earsocks and nosebombs, providing more and more grip as the miles pile on and the sweat begins to pool. The new Oakley Radar EV Pitch sunglasses give you an extended view with its taller lens design, providing improved upper peripheral vision along with an enhanced ventilation system for an anti-fog view. 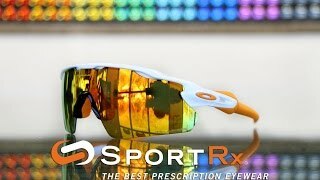 Need Oakley Radar EV Pitch prescription sunglasses? Done. 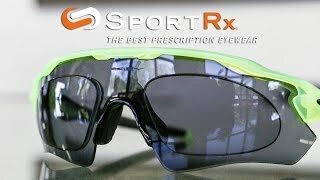 Call or chat with our friendly Sports Opticians if you have any questions about prescription Oakley Radar EV Pitch sunglasses. Free Shipping & Returns all day err’day.